Are you gearing up for the holidays?! Things are getting awfully busy around here. It’s always nice to have a quick project, especially this time of year! 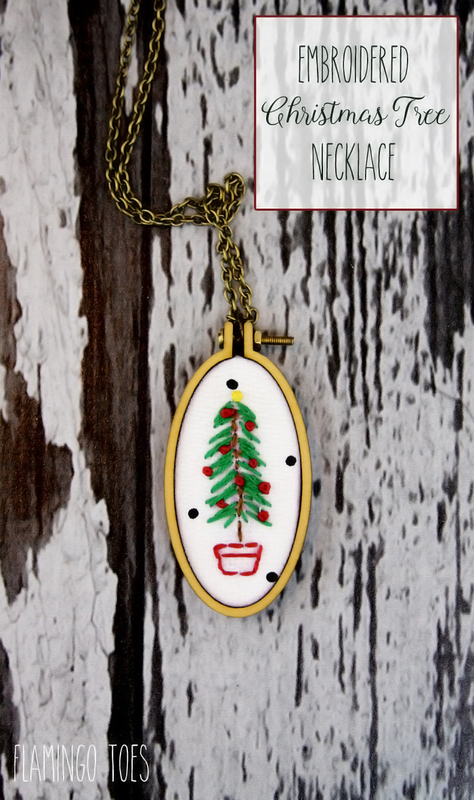 Today I have a super easy and fun Rustic Christmas Tree Necklace for you – and it’s quick and cute all rolled into one little necklace! 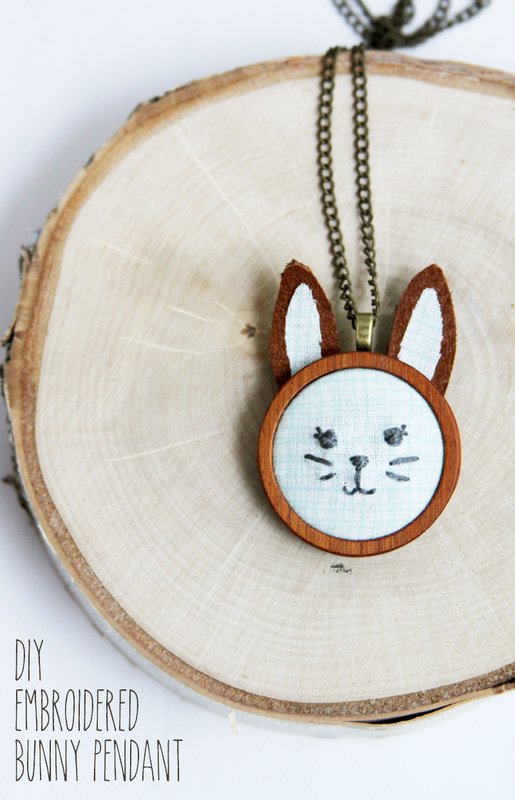 This is just perfect for a beginning embroidery project – the stitching is super simple, I promise! 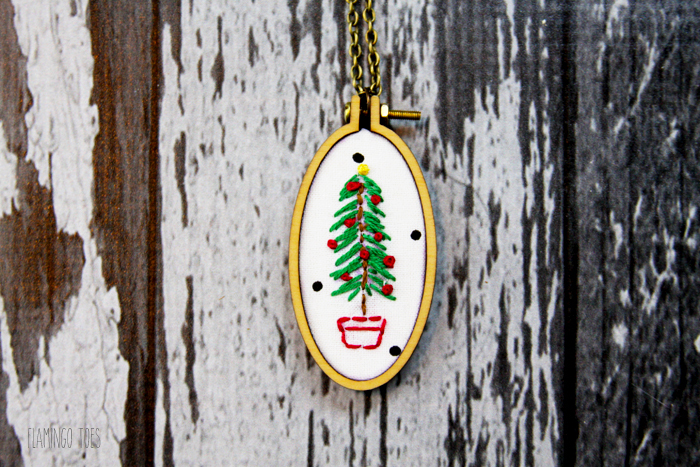 The necklace is framed in this little mini hoop – they are super simple to put together and make such a fun and unique piece of jewelry! 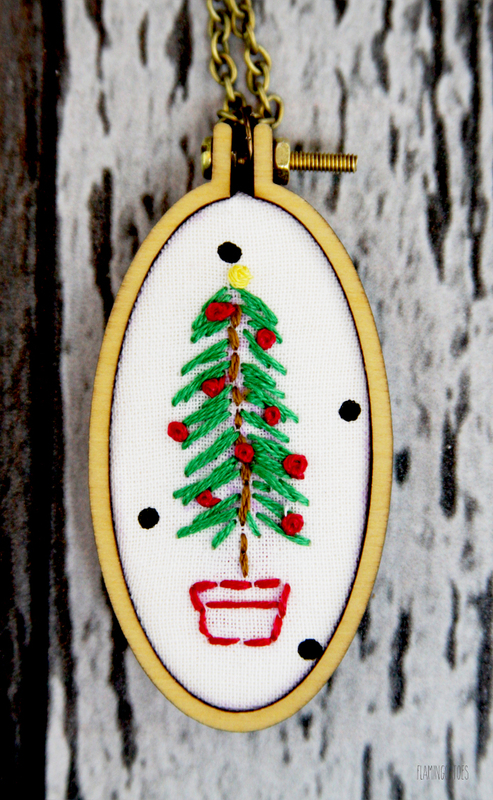 Embroider your tree by stitching a straight stitch trunk with the brown. To form the tree, just stitch straight lines with the green out from the trunk, at a downward angle. 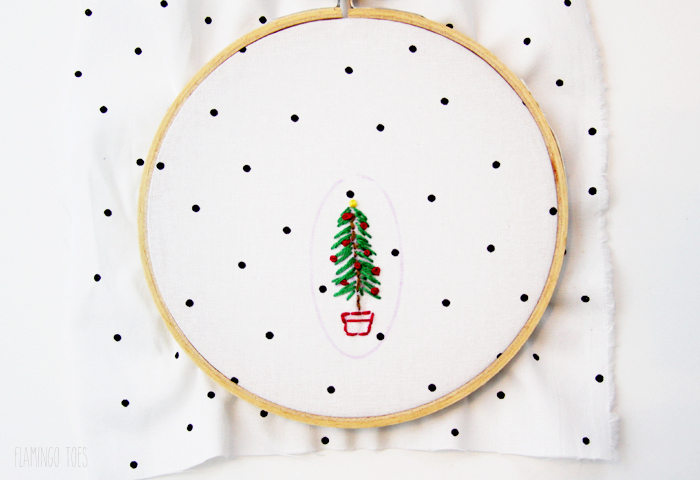 Stitch the pot of the tree with red straight stitches. 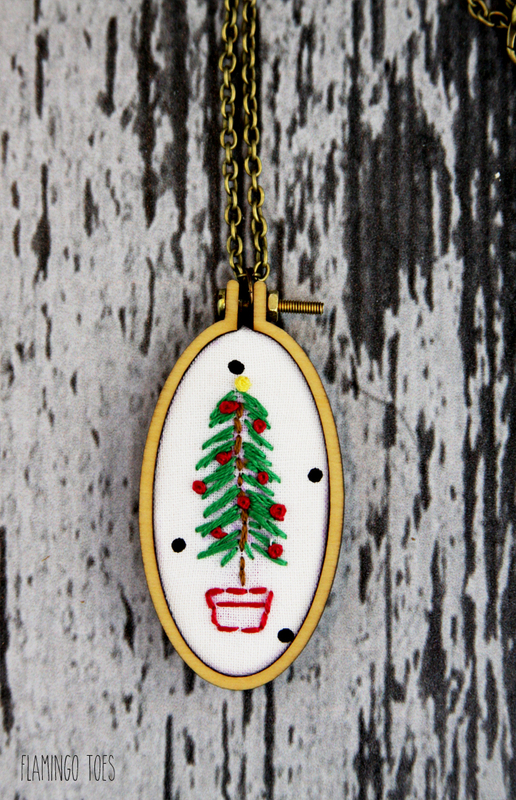 Add little red french knots to the tree, and a yellow french knot at the top of the tree. 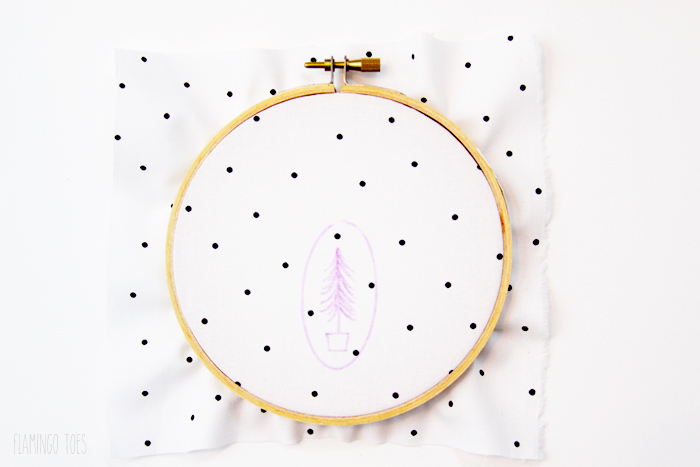 If you need help with the embroidery stitches, you can check out my Embroidery Tips page. Follow the instructions to place the design in the mini hoop. The Etsy shop has great step by step instructions for this. And that’s it! So sweet right? This would be such a fun gift too! I’d love to see a photo if you make one up! You can always share projects you make from my tutorials on the Flamingo Toes Facebook page, or you can tag me on Instagram. I Looooove that! Oh…..I can see this in the center of a star block quilt center………or table topper……or doll quilt……or…….or……. LOL LOL LOL!!!!!! What a sweet little keepsake gift. Just in time for the holidays! Thanks for linking up with us at Share the Wealth Sunday! 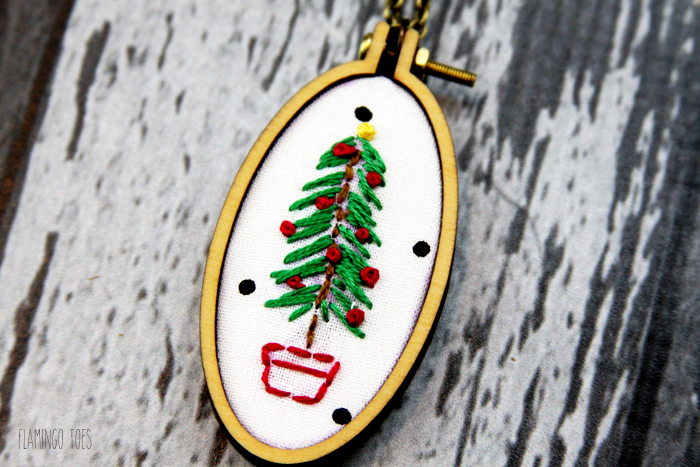 I love all things in embroidery hoops and this is adorable. 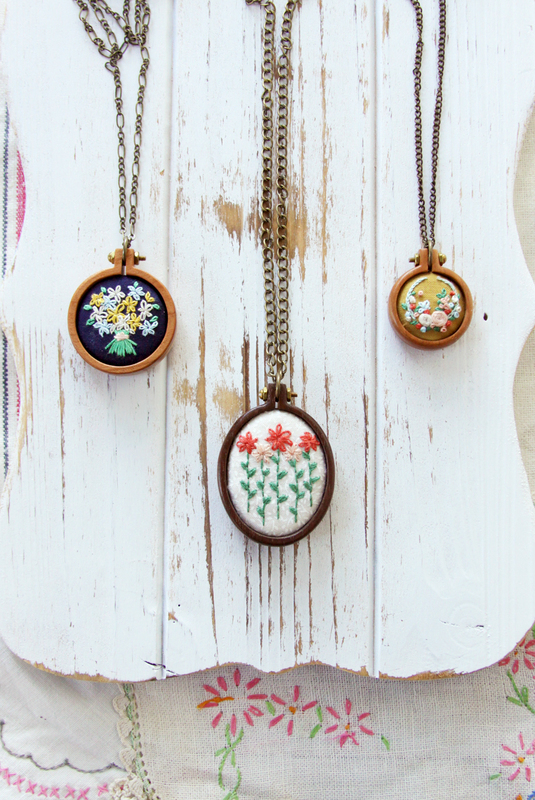 I’ll have to pick up some mini hoops to make one of these. Pinned. That’s gorgeous. I would have to keep it for me though, no way I could bring myself to give it away even though I know several people who would love this! 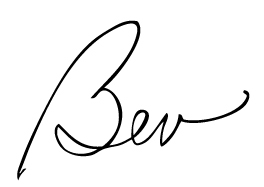 This is just darling, Bev! I love the tiny simplicity of the design. Perfect! Pinned and sharing. Thank you for joining us at Family Joy Blog Link-Up Party.